If I'm being honest here, I had no idea that Vanessa Carlton and Michelle Branch were separate people until a few years ago. They were both non-descript brunette women who sang songs that I'd force my mom to play in the car on the way to gymnastics practice so my friends and I could sing at the top of our lungs and pretend we were in a movie. To this day, I'm still not totally confident that I can tell the two apart and I doubt you can either. To test your skills, I am going to administer a Vanessa Carlton versus Michelle Branch lyrics quiz where I give you a lyric and you have to guess which songstress sang it. You might think this will be easy but you are oh so very wrong. Given that both of these pop singers had a handful of super popular songs (and a much larger hand that was full of less-than popular songs), I have a goldmine of obscure lyrics to work with and I am about to put it to my advantage. So step right up, ladies and gentlemen. Let your mind drift back to the days of yesteryear. See in your mind's eye, your younger self, driving you 2001 lime green Volkswagen Beetle, hairing whipping in the wind as you open your glossed lips to scream "woo hooooo!" as "A Thousand Miles" comes on the radio. Remember Vanessa. Remember Michelle. And then we'll see if you can remember their lyrics. Alright, we're going to start with an easy one here to get you nice and warmed up. If you missed this one, I'm severely disappointed in you. This is obviously an excerpt from Vanessa Carlton's "A Thousand Miles," the pre-teen jam of our generation. Challenge 2: What Do You Want? Answer: Did I get you with the GIF there? This isn't a Vanessa Carlton song. In fact, these lyrics are from Michelle Branch's "All You Wanted." Answer: These lines come from the Michelle Branch song "It's You." Answer: This is a rather angsty line from Michelle Branch's "A Case Of You." Answer: This tidbit is from Vanessa Carlton's "Nolita Fairytale." Yes, I decided to throw you a bone and stop giving you Michelle Branch answers in a row to psych you out. Answer: This was sung in Vanessa Carlton's "The One (feat. Stevie Nicks). Challenge 7: Penny For Your Thoughts? 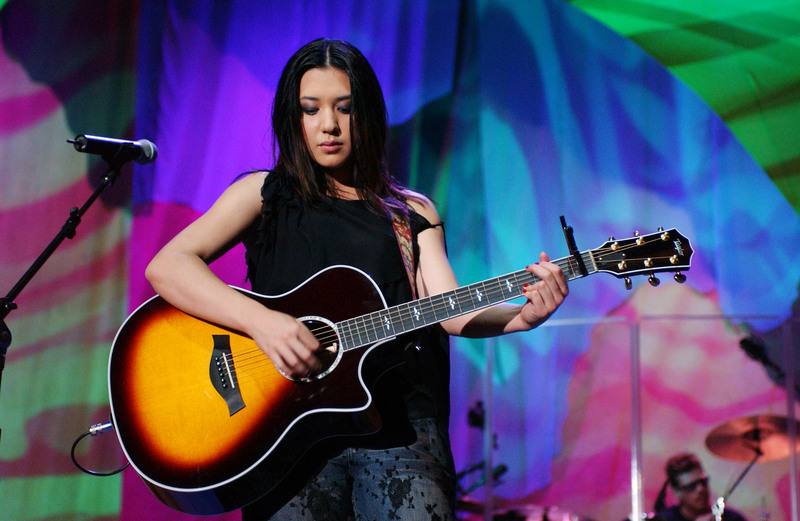 Answer: This ode to true love is from Michelle Branch's cleverly named "You Get Me." Answer: This is a classic line from Vanessa Carlton's iconic "Ordinary Day." Though I will admit, I had no idea that this is what the words were saying until this very moment. If you got all of these right, I think you might just deserve a trophy, because these ladies know how to tug on the exact same heartstrings at the exact same time. Is everyone OK out there?